Creating a pop-up bar is a great way to add a quirky twist to entertain guests on your wedding day. Choosing the right beverages to complement the flow of your wedding schedule is a key part of the planning process. Once the celebratory glasses of champagne have done the rounds, it’s vital for guests to have a choice of delicious tipples on hand to keep them in the party mood. An open bar is a fabulous way to keep the fun times flowing, and a fantastic way to highlight the couple’s personalities. This kind of pop-up facility is also, bringing them to the forefront of the overall wedding theme. 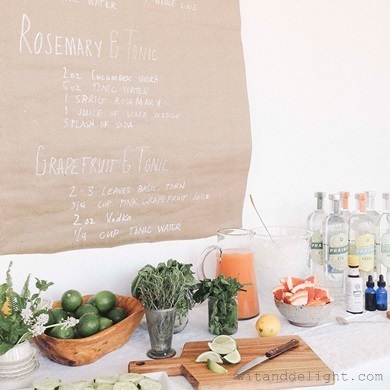 Here are a few ideas to illustrate why these DIY bars have been popping up at an increasing number of weddings. 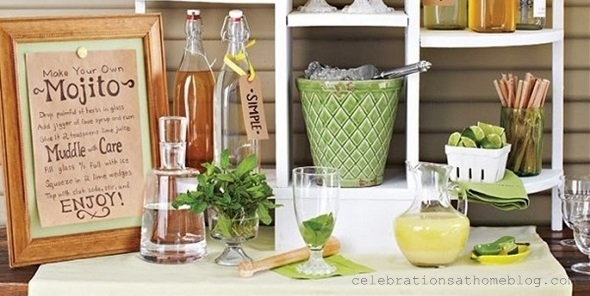 If you and your loved one connected over mojitos on your first date, then we can think of no better DIY bar to set up at your wedding. The best thing about a pop-up mojito bar is that there are plenty of different cocktail variations that will be able to cater to the tastes of all your guests. Set out all of the ingredients on the table, in addition to a few different fruits and additions for guests to muddle into the drink. If you’re laying out plenty of choices, consider hanging chalkboards with recipe instructions written on them as well. These will be informative and add to the decorative theme. For some couples, the refreshing taste of a gin cocktail has no match. The best part is, you don’t need a lot of ingredients to make a gin drink shine, so this is a great route if you want to keep your DIY bar simple. Prepare mint, rosemary and basil ready to be muddled into glasses. Slices of lemon, lime and even grapefruit will be perfect for guests that prefer their drink with a zestier kick. You could either have several bottles of your favourite gin lined up, or spoil guests with the chance to try a local brand they may not have tasted before. If you’re hosting your wedding in one of Thailand’s private villas, the stunning landscaped grounds could provide the perfect place to set up a craft beer DIY bar. 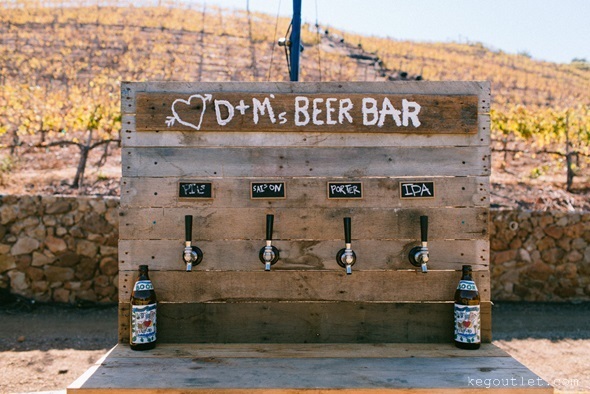 While crafting your own wooden bar structure and setting it up with beer kegs may be a bit more labour intensive than laying out cocktail ingredients, we guarantee it will bring extra wow factor to your wedding. You can choose a variety of your favourite ale brands, or if you’re in Thailand, this could be a fabulous opportunity to showcase some of the local craft beer brands (and there are more than you may think!) to guests. 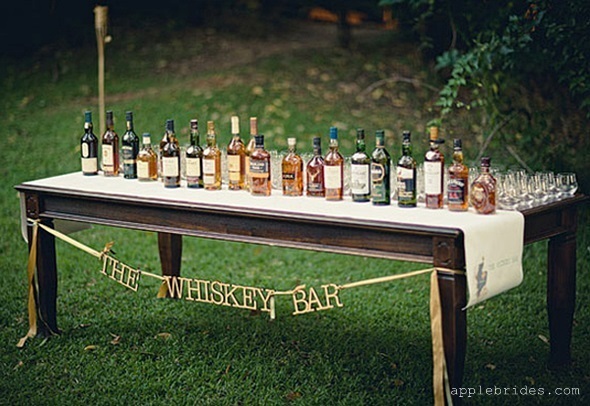 The word “whisky” translates to “water of life” in Gaelic; this along should make it a serious contender for a wedding’s DIY bar. It will also bring an extra touch of class to the day. While a whisky tasting bar could certainly end up being more expensive than some of the other DIY bars here, it’s a fabulous idea for couples that want to splurge on some high quality spirits for their guests to enjoy. To take the whisky theme even further, you could even theme your table layout around different types of your favourite tipple – think Jack’s table, Jameson’s table, and Johnnie’s table. If you’re hosting little ones at your wedding day, there’s no reason that they should be left out of the DIY bar celebrations. 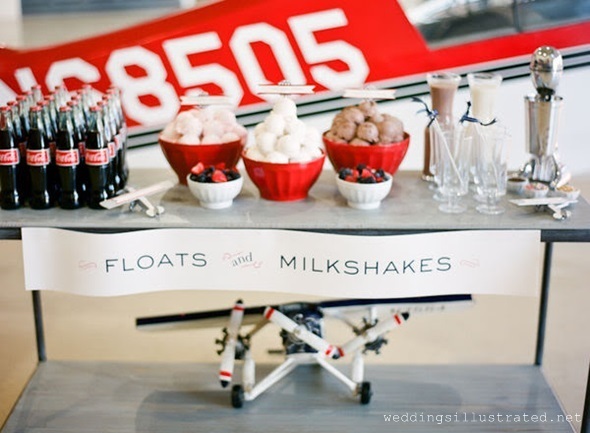 Setting up a fun non-alcoholic bar packed with sweeties or even milkshakes is also a great way to keep them entertained – and we’re sure that you’ll see plenty of adults flitting over to this area as well to indulge their sweet tooth. If you’re setting up a milkshake bar, you’ll need a blender and a mini fridge/ freezer to keep the milk, ice cream, and frozen fruit fresh. This pop-up bar will probably also need to be manned by a member of staff to work up fabulous creamy treats in the blender.